Finally! 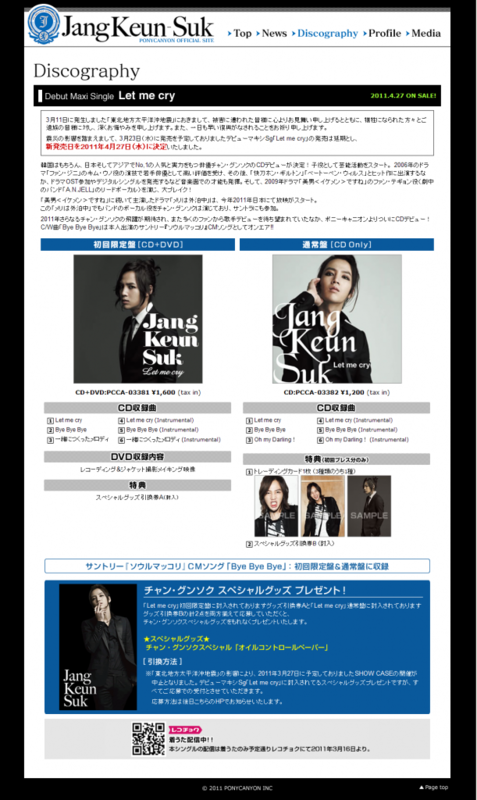 Jang Keun Suk’s “Let me cry” album will be released on 27 April 2011! [Just for fun] Time for tea break! I also look forward to getting the album. Thank you for your new. I will buy it, my favourite album ever!!! Finally … The album ” Let Me Cry ” almost coming soon … I waiting for it a while ago , I will buy it for sure . Love his voice so awesome !